The Failure Of Our Union To Make Life Better For The Members Part II, The Contract. During the Weingarten/Mulgrew years the contracts negotiated by the "Unity caucus" has been short on money and long on "givebacks". The recurring theme by both Randi Weingarten and Michael Mulgrew is that we did the best we could when it came to compensation but totally ignored the "givebacks" by stating that they were minor when it turned out they were significant. The first contract negotiated by Randi Weingarten was in 2000 and the members received a 16.22% pay increase for three years (November 2000 to June 2003). Sounds good? However, it came out to 5.4% a year but inflation was approximately 3%, which gave the members an effective 2.4% raise annually. However, for this raise, the 2000 contract contained a few significant "givebacks". First, all members had to work an extra 100 minutes each week, Second, the 3020-a process was revised and a New York City version no longer allowed for a three arbitrator panel for incompetence cases or allow the educator to reject an Arbitrator and formed a three team unit that hurt educator representation. Finally, while not part of the 2000 contract, Randy Weingarten allowed the incoming Mayor Bloomberg to take control of the school system by agreeing to Mayoral control in 2002. That has worked well. The second contract negotiated by Randi Weingarten was the infamous 2005 contract that gave us raises of 14.25% for 52 months or 3.75% annually, barely exceeding inflation (3.5%) while allowing for massive "givebacks". Read them Here! This terrible contract brought into existence the ATR , the lengthening of the school day by 37.5 minutes and the elimination of the seniority transfer system, while per session rates remained frozen. A year later the DOE imposed the devastating "fair student funding"and had Randi Weingarten objected, tje DOE would have backed away. Instead the great appeaser refused to take it to PERB or court as a violation of the collective bargaining contract and allowed the ATR pool to explode with veteran educators as the new policy encouraged principals to hire the "cheapest and not the best teachers" for their school. The third contract negotiated by Randi Weingarten was relatively benign compared to the other two.as we received a 7.1% raise for two years and gave back one significant item. The establishment of the Peer Intervention Plus (PIP+) that turned out to be termination program for teachers accused of incompetence with a 90% or greater termination rate. Also was the expansion of the probable cause statute that allowed the DOE to remove educators who were arrested for fighting and other potential ferlonies to be taken offline without pay or health benefits for 90 days. The final insult Randi Weingarten left us was the reduction in our TDA from 8.25% interest on our funds to 7% in the fixed allocation for the retaining the two days before Labor Day that Randi gave up previously in the infamous 2005 contract. For another take read my post. Michael Mulgrew's first negotiated contract followed in the footsteps of Randi Weingarten by getting an inferior contract that is short on compensation, 10% for seven years and one month or a 1.38% annual raise! Yes he got back our two 4% raises but most of it will be given to the members between 2017-20 and members who resign or are terminated do not get it. In turn, he agreed to make ATRs second class citizens with reduced "due process rights". With the "Unity" caucus negotiating our contract look for future contracts that are short on compensation and long on "givebacks". The DOE Failure To Take Action Against Willian Cullen Bryant's Administration Smacks Of Corruption. Here will go again. The New York Post published a report showing how the school administration stiffed their students and failed to pay them for summer work to fix and upgrade the school's computer system after promising to pay them for their work. When the Chancellor was contacted by two students complaining they were stiffed, the DOE's response was to send the emails back to the Principal who scheduled a discipline hearing and put the two students at risk, just incredible! The DOE informed the Post that they are now investigating the accusation, why not when the accusations happened?. How many DOE investigations are there on William Cullen Bryant High School and why is Principal Namita Dwarka still in charge? The answer is simple, the DOE investigations are corrupt! William Cullen High School has seen a mass exodus of veteran teachers leave the school through retirement, resignation, and the few lucky ones who transferred to other schools despite their salary. The school's teaching staff mainly consist of inexperienced teachers and in some subjects like Earth Science are not certified to teach the subject. Furthermore,due to the administrative actions students passing the Regents physical Sconces (Earth Science, Chemistry, and Physics) have dropped 20 points in the last few years. If I look at the rest of the subjects, I'm sure there are similar drops. When it comes to Principal Namita Dwarka the list of accusations against her are mind boggling as she continues to run this once great school into the ground. Yet the DOE has repeatedly failed to take any action against her or remove her for the sake of the students and staff alike. This is just another case of the DOE's corrupt investigation process when it comes to disciplining favored administrators. The Failure Of Our Union To Make Life Better For Their Members - Part I, The Classroom. This post is the first of a six part series on the union's failure to improve the hostile working conditions that the New York City public school teachers are subject to on a daily basis. Long gone are the days when Albert Shanker was willing to strike to ensure that the teachers were respected and protected from vindictive administrators and destructive policies from City Hall. 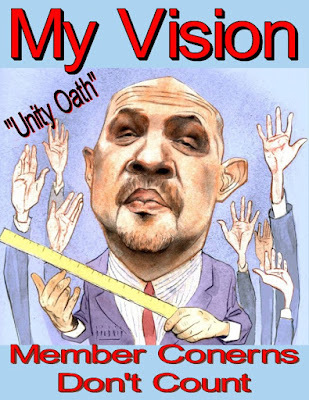 Now we have an unaccountable and disconnected union leadership who uses member funds for their own political ambitions and wear blinders when it comes to the abuses of the Bill de Blasio/Farina administration that continues to make teaching in the classroom a living hell. During the Bloomberg years it was understandable that the union was ineffective in improving the classroom environment considering who was running the union (the great appeaser, Randi Weingarten) and the hostility of the Bloomberg administration, in fact, the classroom environment actually deteriorated with rising class sizes, inadequate resources, and paperwork overload. Moreover, every contract negotiated with the Bloomberg administration contained "givebacks" and the pitiful raises came with extra time or other significant concessions by the union. Unfortunately, during those years the steadfastness of Albert Shanker was replaced by the wuss Randi Weingarten who, for raises that barely equaled the inflation rate saw the member due process rights eroded and the classroom environment worsen. However, when Bill de Blasio replaced Mayor Bloomberg the union leadership under Michael Mulgrew started a love affair with the new Mayor and his Chancellor, Carmen Farina, and promised the members that there will be significant improvements in the classroom. A new era of collaboration was to bring back the respect and cooperation between the DOE and the teachers in the trenches. Yeah right, and I have a bridge in Brooklyn to sell you. It has been two years since the Bill de Blasio administration has been in charge of the DOE and little has changed in the hostile classroom environment. School budgets have been frozen since the Bloomberg Administration despite the economic recovery in the City and huge budget surpluses. Large class sizes, the highest in the State, has not been reduced as promised by the new Mayor when campaigning for his position, and many of the Bloomberg policies remain in place that encourages principals to hire the "cheapest and not the best teachers" for their students. In fact, many of the Bloomberg 300 that run the DOE and implement policy are still in there positions and further damaging education with their education deformer mandates. Yet our disconnected union leadership will proclaim that things are improving as Michael Mulgrew continues his love affair with Chancellor Carmen Farina, while the terrible classroom environment remain unchanged. As we start the 2015-16 school year class sizes are as large as ever, many incompetent and vindictive principals are still running their schools into the ground, and the paperwork reduction promised by our union leadership remains unfulfilled. The school budget is frozen and resources are scarce. In some schools teachers have to supply their own photocopy paper and materials that should be supplied by the schools. Moreover, the punitive Chancellor regulations of the Bloomberg administration have become more stringent and student discipline relaxed. The result is an overcrowded classroom and classroom management issues that make learning difficult and worsen the classroom environment. Yet, the disconnected union leadership would have you believe that there is a new era of collaberation between the DOE and UFT but don't tell that to the teachers in the trenches, to us its still the same hostile classroom environment that the union refuses to see or do anything about. Mayor Bill De Blasio's Education Agenda Is A Joke. With much fanfare, Mayor Bill de Blasio rolled out his education agenda and to say the least its very flawed. In his education agenda he wants many "high needs" schools to have a second grade reading specialist. What about the other grades? Does any educator really believe that one year of intensive literacy is going to solve the long-term academic problems? Moreover, the Mayor wants to add Advanced Placement courses to 100 schools that don't have them presently. The problem here is that many of these schools don't have Advanced Placement courses because the students of these schools struggle and fail to pass the much easier Regents as many of them as level one students (the lowest level academically) when entering the high schools. Finally, the goal of the 80% graduation rate smacks of the Bloomberg/Klein years when the pressure to improve the graduation rate resulted in academic fraud. How does the Mayor propose to reach his 80% graduation rate goal and ensure that the students are indeed receiving a quality education without schools cheating? While the Mayor's education agenda is laudable, it fails to address the realities of the prime causes of the educational inequality that is so very evident in the New York City schools. The so-called progressive Mayor does not tackle the social-economic conditions that hinder children in deep poverty who end up a grade behind their better prepared peers as they enter Kindergarten and only widens during the K to 12 student years. The Mayor fails to address the issue of teacher turnover in deep poverty schools and change the DOE policy that discourages schools from hiring veteran teachers and encourages them to hire inexperienced teachers because their cheap which only hurts student learning. In addition, the Mayor's education agenda fails to address the racial and economic inequity that has resulted in highly segregated schools where the higher academically achieving students with middle class incomes will travel two hours or more to be accepted by the better schools while the neighborhood high schools in deep poverty areas struggle to fill their vacancies with "high needs" and over-the-counter students. For example Francis Lewis High School is crammed with 4,500 students when the school that should have 2,800 students while August Martin High School had 580 vacancies that had to be filled with students who registered late, new to the city schools , or came out of incarceration. Many of them "high needs" and academically deficit. I might add that Mayor Bill de Blasio campaigned on lowering class size, yet there is no mention of smaller classes anywhere in his education agenda, why? The school I am assigned to for the first month of the year has an incoming freshman class that is 35% level one and the teachers at the school were informed that every one of their classes have students with IEPs and its the teacher's responsibility to know what the IEP contains and to adjust their lessons accordingly. I have seen seniors who have trouble with simple Math and are functionally illiterate and yet the Mayor is talking about Advance Placement courses and college readiness. The disconnect between the Mayor's education agenda and the reality is obvious and I cannot believe how clueless the Mayor and Chancellor are when it comes to the real problems that beset the New York City schools. The Mayor would be better served if he addresses the poverty and the lack of a family structure rather than trying to put a band aid on the infection that simply hides the problem without solving it. To me, the Mayor's education agenda is simply a joke. Veteran Teachers Fleeing Troubled NYC High Schools In Droves. If you read the New York Daily News or the Post, you would think that the reason many high schools are struggling is because they have "ineffective" or bad teachers. However, the truth is that too many of the high schools in the renewal program suffer from high teacher turnover, few veteran teachers, and have poor administrations. Moreover, the student body of these schools contain a large percentage of "high needs students". A recurring theme for the renewal schools are a large number of students in deep poverty, coming out of incarceration, and "over-the-counter" students. In addition, many are homeless or need special services and were level 1 academically when they left middle school. Teachers leaving poor management and poor working conditions leaving chronic instability in its wake. Few veteran teachers remain and many of these struggling schools are now staffed by inexperienced teachers who leave for greener pastures adding to the high teacher turnover and the associated instability of the school. a story of how hundreds of teachers despair of helping kids in poorly managed and under-resourced schools, and who ultimately, battered by the arduous process, choose to move on to other schools or other lives. More importantly were the statistics Michael Mulgrew included in the article and they are shocking to say the least. 64% of the 921 teachers in the 8 out-of-time schools left these schools that were on staff in 2010 have already left those schools. 45% of them went to other schools, they rest left the system. Banana Kelly High School have only 2 of the 40 teachers on staff in 2010 remain at the struggling school. In fact, the entire staff has been replaced not once but twice, almost a 200% turnover rate! The Fordham Leadership High School have only 9 of 46 teachers remaining since 2010. In my own experience Flushing High School has had 5 Principals in 5 years and such instability at the top has sapped the morale of students and staff alike. August Martin and John Adams High Schools are so reviled that they led all schools that students tried to avoid going to. Furthermore, other struggling schools like Richmond Hill, William Cullen Bryant, and Flushing High Schools are being investigated for academic fraud. The bottom line, all these schools suffer from poor or changing leadership, "high needs students", a demoralized staff, and veteran teachers leaving these schools due to retirement, resignation, or finding more welcoming schools. Michael Mulgrew is correct its not bad teachers but poor leadership, lack of resources for the students, and poor working conditions that are the primary causes for the problems associated with these struggling schools. Why Parents Really "Opt Out" Their Children. Its The Teacher Evaluation Tie-in! The State Department of Education and the Governor both claimed that the teacher unions were the blame for the 20% "opt out" rates of the State's Common Core high-stakes tests. However, both dismiss the fact that many parents were concerned about the inappropriateness of these State tests and the tie-in to the teacher evaluation. Newsday did an analysis of the factors that influenced the parents to "opt out" on Long Island where 50% of the parents "opted out" their child and teacher unions were not mentioned as the reason for "opting out". The major reason that parents "opted out" their child from the State high-stakes tests was that it was tied to teacher evaluations. Newsday found that 75% of the parents stated that they "opted out" their child because of the tie-in with their teacher's grade which they believe is unfair and wrong. Interestingly, only 8% of parents stated that their reason for "opting out" was that the child's teacher or Principal advised them to do so. By contrast 10% of the parents who decided not to "opt out" were advised so by their child's teacher or Principal. That means that the school educator was a neutral influence on the "opt out" movement. Note: the percentages are over 100% because some parents gave more than one reason for their decision. Looking at the data two things are obvious. First, educator and social media influence were giving mixed messages and didn't significantly change the percentages for or against. Second, teacher unions were not listed as a significant factor in a parent's decision to "opt out". True a few local unions like the Port Jefferson Teachers Union did lobby to have their district students to "opt out" and it did result in an 80% "opt out" rate. In the few school districts where the teachers union did lobby to have the students "opt out" the district's "opt out" rate was closer to 75% than the average 50% throughout Long Island which indicates the potential powerful influence teacher unions can have on the "opt out" rate if they so choose.. The feeble attempts by NYSED and Regents to tweak the new and more punitive education policy does not affect the teacher evaluation and the junk science that grades the teacher and since 75% of the parents who "opted out" their child because of the teacher evaluation tie-in, the State has failed to address the main cause for the "opt out". In fact, under the new teacher evaluation system teacher the high-stakes test is now 50% of a teachers grade instead of the previous 20%. I strongly suspect that the "opt out" rate will only increase as more teacher unions will lobby hard to eliminate the unfair and wrong teacher evaluation tie-in to the high-stakes Common Core State tests and parents will support their child's teacher by "opting out" in greater numbers than even last school year. Governor Andrew Cuomo and NYSED Commissioner MaryEllen Elia are you listening? Two opposition caucuses, MORE and New Action have stopped fighting and decided to "bury the hatchet" and run a joint slate in the 2016 UFT elections. This is welcomed news as the combination of the two caucuses will be a major opponent to the "Unity" caucus. In fact, its entirely possible that the combined MORE/New Action slate will capture the high schools, which historically has been more militant and has occasionally been lost by the "Unity" caucus. In fact if you go back to the previous election the combined slate had 1,890 votes compared to "Unity's" 1.592 votes. If this occurs this time, the MORE/New Action coalition will capture the high school seats. However, there is a major problem with the above scenario that has the MORE/New Action coalition capturing the high school seats and that is the new UFT caucus, Solidarity. Yes, some people will call Solidarity "a one trick pony" and maybe their right but Donald Trump is "a one trick pony": and is leading in the polls for the Republican nomination. The Solidarity caucus has many of the 1,400 ATRs on their side and this new caucus has as part of its plank, ATR rights. That is ATRs to get back their "due process rights" and be back in the classroom and without these "flyby observations" by field supervisors. Moreover, many disgusted teachers who see little change in their appealing conditions are more likely to give Solidarity their vote as well. To ignore the Solidarity caucus is to ignore the very real possibility of this caucus taking enough votes away from the new coalition and eliminate a real opportunity to win the very important high school seats. Worse, the "Unity" caucus may hold their collective noses and could offer the same deal to Solidarity as they did to New Action and siphon enough votes from the unified coalition to stop them from gaining the high school seats. 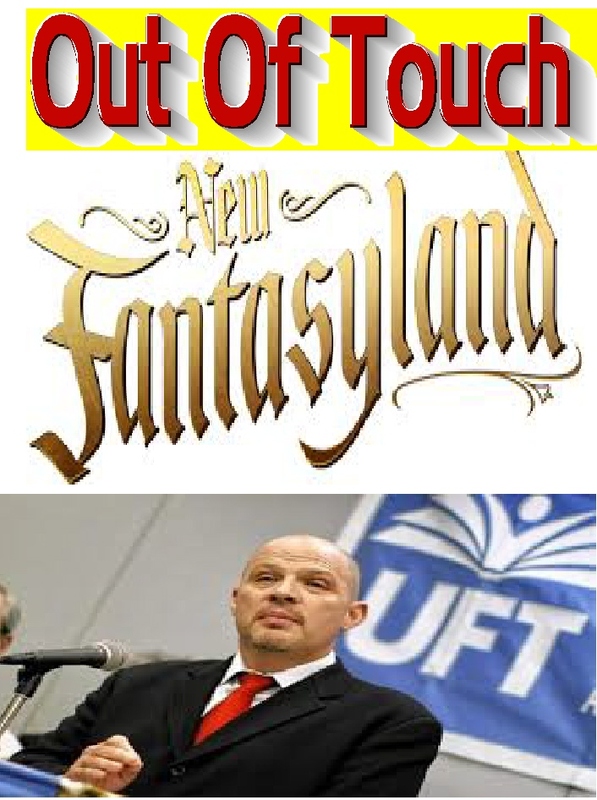 I know, the UFT leadership hates the head of Solidarity but politics make for strange bedfellows. Finally, I strongly suggest that the new MORE/New Action coalition reach out to Solidarity and include them in the unified coalition. Solidarity can be the spoiler and garner enough votes from the opposition to give "Unity" another victory and nobody in the three caucuses wants to see that. For information purposes: I was a founding member of Solidarity but have since resigned and decided to become unaffiliated with any caucus. I just want the opposition to make real inroads against the "Unity" caucus machine. "There is a growing momentum and motivation in the schools"
Mr. Mulgrew pointed out how only 21.7% of "newbie teachers" left the schools within three years in 2010-11 school year compared to 33% who left in the 2005-2006 school year. What Mr. Mulgrew deliberately left out was that the 2010-11 school year was in the depths of a recession, while 2005-06 was a year of relative prosperity. Of course many teachers stayed in the profession because of lack of jobs during the recession. My question is how did the numbers change over the last two school years as we escaped the recession with an ever improving economy? 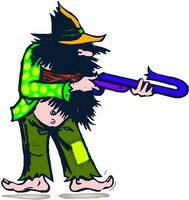 How can Michael Mulgrew claim that things are better in the schools? Has he even bothered to talk to classroom teachers outside his inner circle of cronies? I doubt it. NYC Educator posted a similar article on this issue and is a must read. Let's look at the issues that Michael Mulgrew chose to ignore and why nothing has really changed when it comes to the teachers in the trenches. First, Chancellor Carmen Farina stated that 400 Principals should not be running their schools. However, only a handful have actually been removed and only when the media gets involved like at John Dewey High School. 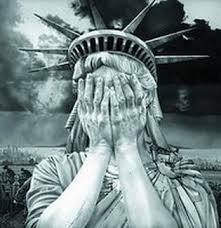 Why is Michael Mulgrew silent about Namita Dwarka of William Cullen Bryant High School who destroys careers of veteran teachers and hurts the students of the school? Second, why hasn't Michael Mulgrew use his influence with Chancellor Carmen Farina to eliminate the "fair student funding" that forces principals to hire the "cheapest and not the best teachers" for the schools? Does he really care? Third, Why did Michael Mulgrew make ATRs into second class citizens with reduced "due process rights" and no mutual consent? How do you think their morale is? I guess under Michael Mulgrew "the beatings will continue until morale improves". 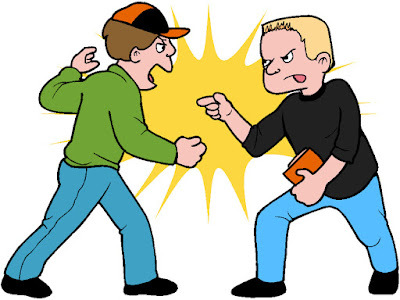 Finally, most teachers despise the Common Core and the junk science that goes with it but if you oppose Common Core and its badly flawed implementation, Michael Mulgrew will punch you in the face. While Michael Mulgrew's love affair with Chancellor Carmen Farina continues its still a very hostile classroom environment for the teachers but you wouldn't guess it listening to our UFT President. 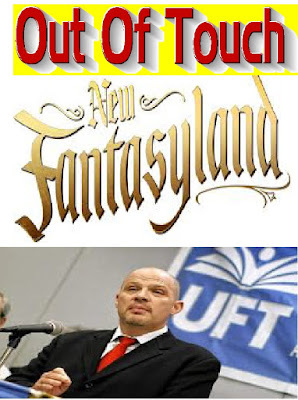 To Michael Mulgrew its fantasyland where all good dreams come true while its a never ending nightmare for the teachers in the trenches. Investigators Bury Accusations Of Cheating. What Else Is New? It is not surprising that allegations of academic fraud has risen substantially over the years as schools were under pressure to increase their graduation rate and credit accumulation. However, in far too many cases both were increased by cheating, be it grade changing, bogus credit recovery schemes, or simply giving out free credits. The first time this became a media issue when it was reported by the New York Times back in 2011. However, this problem has been around for almost a decade and I reported as far back as 2008 that the DOE's "credit recovery" program was simply a bogus credit accumulation scheme to artificially boost the graduation rate. What's more disturbing according to Chalkbeat, is that despite the rise in accusations of cheating reported to the Special Commissioner of Investigations (SCI), the agency only bothered to look at 3 of the 300 academic fraud charges in 2014 and didn't substantiate any of the three! That's correct, SCI didn't find any cheating worthy of filing charges, unbelievable but true. No wonder, whistleblowers who report cheating to SCI believe that its a waste of time. The facts unfortunately bare that out. Some cases were refereed to the DOE's Office of Special Investigations (OSI) and disappeared as favored principals were protected by Tweed and their cases seemed to drag on until the spotlight on their misconduct moved to other issues and the OSI investigation was closed or buried in the depths of Tweed. Already this year, 300 cases of academic fraud were refereed to SCI and they have only decided to look at only 10 of these cases. Any bet they find all 10 unsubstantiated? However, if this was about a teacher you can bet the outcome would be very different. It certainly appears that the SCI and OSI investigative units aid and abet the academic fraud that has been a problem since the Bloomberg years and continues with Mayor Bill de Blasio. 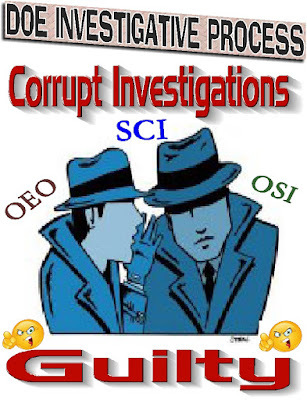 SCI's failure to take whistleblower complaints about cheating seriously and OSI's questionable investigations that are subject to pressure from Tweed, make any investigation suspect. To me, both investigative organizations are corrupt and do not take allegations of academic fraud seriously. Is it any wonder that principals have little fear of getting caught since there appears that the DOE rarely takes any action against them, except when the media presses the issue like at John Dewey High School. The bottom line is that despite the change in administrations, its still business as usual at the DOE with politically motivated investigations and academic fraud still part of the landscape at the New York city public school system. Where Are The Effective Teachers That Carmen Farina Claimed The Renewal Schools Were Hiring? With much fanfare the disappointing Chancellor, Carmen Farina, claimed that she was going to turn around the floundering renewal schools by getting the schools to hire "effective teachers". However, anecdotal evidence appears to show a very different hiring process for the renewal schools. The schools in the renewal program ended up hiring many inexperienced teachers and quite a few "newbies". Under no stretch of the imagination can these teachers be "effective", yet these renewal schools hiring practice appear to remain unchanged when ex Chancellor Joel Klein encouraged schools to hire the "cheapest" teachers they could. Interestingly, now that the Superintendents have replaced the useless and money sucking Children First Networks, principals must get a Superintendent's approval to hire. The result has been that principals cannot simply hire teachers who are not certified in the subject they are hired to teach as the Superintendent does not want bad publicity of hiring unqualified teachers laid at their door and exposed to media scrutiny. 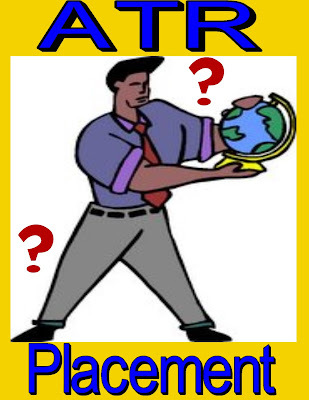 This is evident when it comes to Earth Science as principals are scrambling to find certified Earth Science teachers and have found none available in their borough, In fact, one Bronx Earth Science teacher who was suspended and will not be available until the second semester, received calls from schools to see if he would commit to their school for the Spring semester! I personally received 16 inquiries, most from the Bronx, some from Manhattan and a few from Brooklyn, despite the unfair "red flag" on my file that would normally scare off principals who are ignorant of the facts in my case. Compare that to the last three years where I received a grand total of 5 inquiries. However, there is one glaring exception, the renewal schools under Superintendent Amiee Horowitz where schools like Richmond Hill and August Martin who have no certified Earth Science teachers and other renewal schools like Long Island City, John Adams, William Cullen Bryant, and Newtown with many Earth Science classes being taught by a teacher not certified Earth Science. Who in their right mind believe having teachers not certified to teach a Regents subject will improve student academic results? How does Chancellor Farina justify using uncertified teachers in schools where students already academically struggle and now are forced to learn from inexperienced or uncertified teachers? I guess when it comes to the renewal schools Chancellor Carmen Farina talks the talk but fails to walk the walk and its still "children last"...Always! 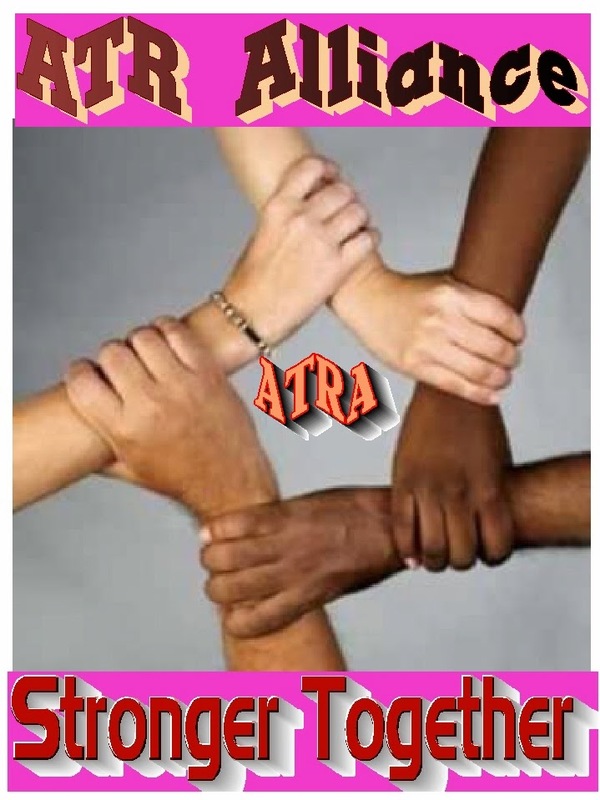 There will be an ATR Alliance meeting for all ATRs and interested parties on Sunday, September 20th, at the reception hall located at 8722 52nd Avenue in Elmhurst Queens.from 12:00 to 3:00 pm.There is free parking and the M and R trains are a block away. 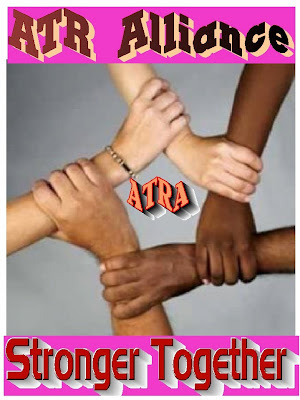 To be invited you must go to the ATR Alliance site and fill out the registration form. Here. The Quality Teacher Shortage Is Evident In The New York City Schools Based On The DOE Hiring Policies. Every parent wants a "quality teacher" for their child and school leaders recognized that. Therefore, principals, who were themselves long-term teachers, did their best to hire the highly experienced teacher for their schools. The more experience the teacher had, the better. The result was that the best schools had the most experienced senior teachers who provided the students with deep curriculum knowledge, classroom management skills, and weren't afraid to adjust their teaching to the learning styles of the ever changing student dynamics of the classroom. To ensure that there was an incentive for schools to hire the best teachers, the DOE did not use a teacher's salary as part of the school budget but provided the school teacher units, based on the student population size. Therefore, the schools competed with each other for these highly experienced teachers and the best schools had the most experienced staff. All this changed when Mayor Bloomberg took control of the City public schools and appointed a non-educator, Joel Klein, as Chancellor. Chancellor Klein fundamentally changed the school funding requirements and implemented an "education on the cheap" policy that took funding from the schools and added layers of bureaucracy and increased the historically bloated Central Bureaucracy. With the teacher union approval, Joe Klein instituted the "fair student funding" that was, in theory, to allow high needs schools to attract experienced teachers with more school funding. However, the real function of the "fair student funding" was not to give high needs schools the extra money but to punish schools with highly experienced teaching staff by reducing their budget and encourage the schools to find any excuse to have them removed from the school and get budget relief. The result was an explosion of veteran teachers being removed from their schools and dumped into rubber rooms based on phony or frivolous charges.. To encourage principals to remove these veteran teachers the DOE allowed the school to remove the salary of the teacher from the school payroll after 60 days! This resulted in as many as 805 teachers being "rubberized" as these mostly senior teachers, wait for years before their 3020-a charges are heard or the DOE decides to make a deal. While many long-term principals were reluctant to remove their veteran teachers realizing the collateral damage it does to staff morale and more importantly, the harm it does to the students. This was not a problem with the newly minted "Leadership Academy Principals" who made up almost 20% of the City's principals. Many of these principals had little or even no classroom experience, quite a number never were tenured and had little real understanding of the teaching profession. To the typical "Leadership Academy Principal" it was that they were CEO's of the school and collaboration with staff was replaced with dictates. Moreover, this "Leadership Academy Principals" were no longer instructional leaders or mentors but administrators that were the point people of the DOE "gotcha system" whose purpose was to discipline teachers and if possible terminated them by any means possible. The result of the Bloomberg/Klein changes in the public school system meant that principals were pressured to hire the "cheapest and not the best teachers" for their school. With 163 schools closed during the Bloomberg era, that excessed thousands of teachers, many of them highly experienced and with little chance of being picked up due to salary considerations. Combine these excessed teachers with the thousand or so teachers who survived their termination hearings and the DOE has between 1,000 to 3,000 teachers without a classroom. Many of them "quality teachers". 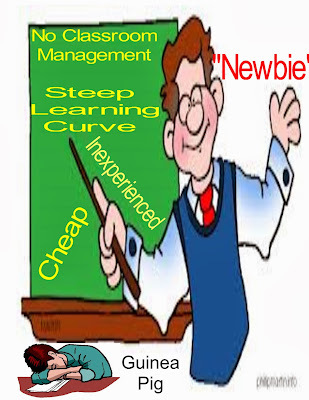 Instead as we start another school, year, the De Blasio/Farina administration has continued with the "education on the cheap" policy of Bloomberg and Klein which means that its still about hiring the "newbie" rather than the "quality teacher". On Tuesday September 8th you need to report to your assigned school. Failure to report to your assigned school after 2 days without medical documentation or approved leave may result in your automatic termination thanks to the contract. Remember, as an ATR you enjoy the same rights and privileges as the appointed teachers in the school. That means a key to the teacher's bathroom, lounge, and other common work areas. Finally, ATRs are classroom teachers and must be given teacher duties! That means that schools cannot use the ATR more than one period a day for non-teacher duties, like hall patrol, cafeteria duty, or administrative work that are allowed in the circular six options in the school. However, it is always the ATR's option to do more if they so choose. Seek out the school Chapter Leader and get to know what the school rules are. Moreover, you may need the Chapter Leader to advocate for you if you are being abused or your rights are being violated. 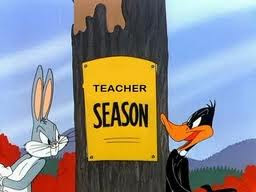 If the ATR is given a sixth teaching period, after the first one for the semester, the school must pay you "per session". 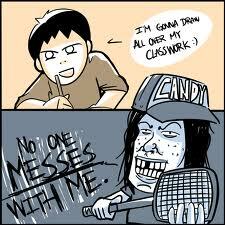 In schools with block schedules that are 6 and 4 and you are covering for a teacher then there is no "per session". However, many block schedule schools will try to use the ATR to cover consecutive 6 period blocks on consecutive days for different teachers. After the first of such consecutive overages any future sixth period coverage on consecutive days should result in "per session" pay for the ATR. ATRs must be paid for their second extra overages even if they occurred in different schools during the same semester. Therefore, keep a receipt of your first coverage to show the next school that they must pay you for the extra coverage. Finally, you will be getting some mandatory interviews, you must attend! Missing two consecutive mandatory interviews without proper cause, will result in your automatic termination. If you are covering for a teacher during this time, the school must release you and you must attend the interview. If the school refuses to release you than immediately contact Michael Sill at UFT Headquarters, Msill@uft.org, he will contact the DOE and resolve the problem.